Offering a broad range of cost effective, highly elastic Compute, Storage, and Network Resources. Allowing customers to migrate their existing Software Stacks and Infrastructure Automation Tools without needing to re-write them. We differentiate by offering architecturally a software-defined, virtualized data center in the cloud. Of course, we offer compute, storage and network. But compute is essentially a commodity. The differentiation is how to move to compute and how to control compute. What solutions can you put around compute? The difference with having a virtualized data center in the cloud is that you control all the points of access to compute; e.g existing firewall, networking, software stack. If you want to enable customers to migrate their workloads to the cloud, you have to have a different vision of the cloud. We are focused on providing a software-defined virtualized data center in the cloud. This is our goal over the next couple of years. We have the right building blocks with cost effective, highly elastic compute, storage and networking. It allows customers to migrate their existing software stack and infrastructure automation tools without having to rewrite them: a huge differentiator. It also gives the customers more control over security, governance and performance, because we do not do oversubscription. We do not do just bare metal compute. And we feel that if we make migration easy, customers can also employ a hybrid model where they can run things side by side. The capacity provided to the consumer to provision processing, storage, networks, and other fundamental computing resources where the consumer is able to deploy and run arbitrary software, which can include operating systems and applications. To understand Oracle’s strategy, it is important to understand what we mean by Cloud Infrastructure as a Service. 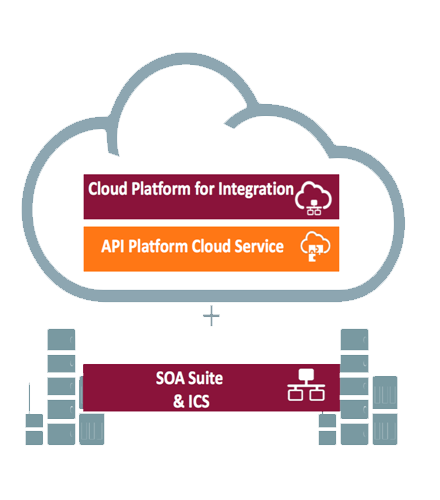 Cloud IaaS provides the compute, process, storage and networking elements to enable customers to deploy and run software and applications in the cloud. Platform as a service (PaaS) allows developers, IT professionals, and business leaders to subscribe and use software to develop, test, and deploy the next generation of applications in a secure, cost effective way in the cloud for speed to market and scale competitive advantages. Large organizations need to integrate and connect multiple cloud and on-premises applications, develop, secure, discover, and share content and insights across departments for more flexibility and business value from IT. Smaller organizations have access to the same reliable and secure enterprise IT capabilities to quickly establish new environments to create and scale applications in multiple channels and for multiple purposes. 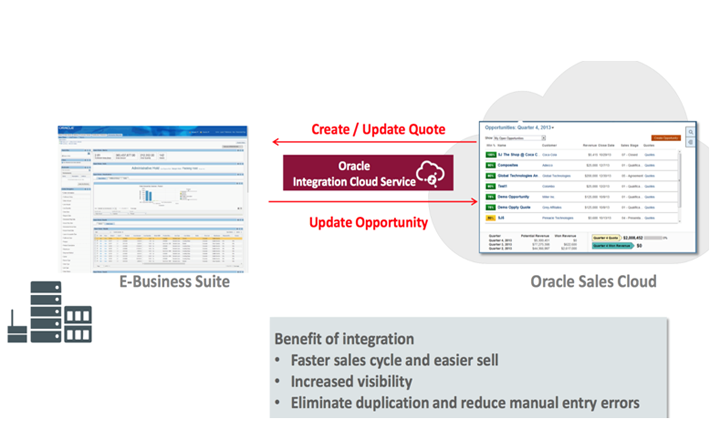 This slide shows the unique Oracle vision of providing customers the choice of how to deploy their workloads. 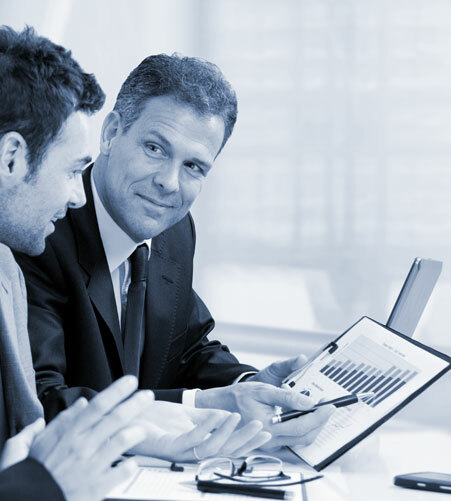 They can transparently move between on-premise and public Clouds – a key differentiator with competitors. 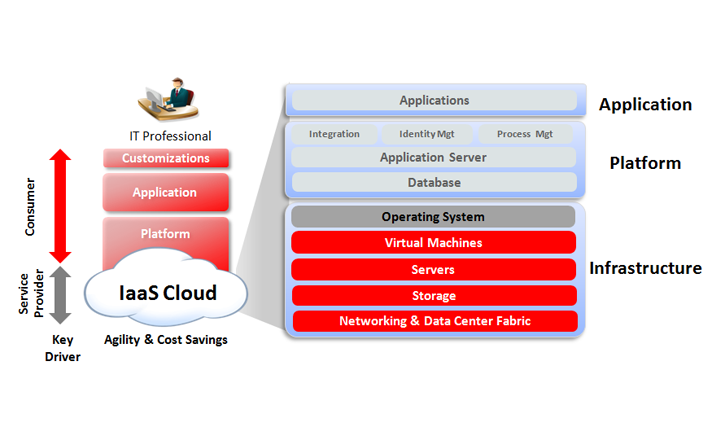 Another key differentiator is the that the IaaS product set of Compute, Storage and Network Cloud Services, seen on the left in this picture, are tightly integrated with PaaS solutions to provide a customer with a complete solution; again with the option of deploying on public, private, or a hybrid cloud, all without having to rewrite applications or change infrastructure tools.